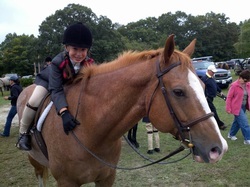 About - Clarion Farm, Inc.
Clarion Farm is the culmination of Carly's lifelong dream to own and operate her own facility. The happiness and care of our horses and customers is our highest priority. Our program creates happy, healthy horses that are ready to perform their best and educated, well rounded riders who feel confident about themselves as riders and competitors. We have a variety of programs including our Riding School, Boarding, Training, and Show Programs where we can assist students off all ages and experience levels reach their goals whether it be learning how to be comfortable around horses or aiming for a National Championship. The farm is also the home base for the Clarion Farm Equestrian Team for Middle and High School riders who compete in IEA Competitions both Regionally and Nationally and the Wheaton College Equestrian Team who competes in the IHSA. 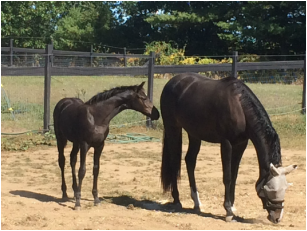 Clarion Farm Sport Horses is a small scale breeding operation. We produce and sell quality horses aimed for the H/J rings but also suitable for Dressage and Eventing. We also assist customers with breeding advice, sales and training of young stock and stallion training and management. 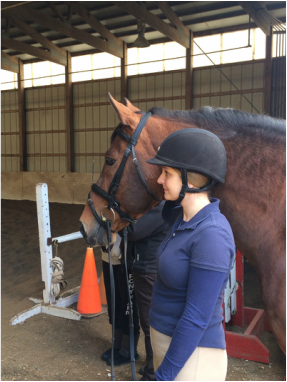 We also offer our Sport Horse Rehab Program where we can take your horse from the day it is diagnosed with an injury through the entire rehab process until they are ready to walk back into the show ring. 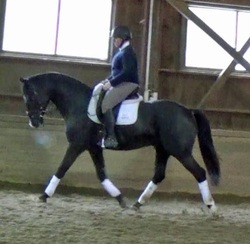 Carly is also available to work with select "problem" horses and those with hard to figure out training issues. Her insight into what is going on with them physically and emotionally can help the horses to reach their full potential rather than being cast aside or sent down the road.